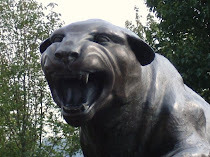 CARDIAC HILL - A Pitt Panthers Blog: So What's The Word? Pitt's recruiting class, as I mentioned before according to Paul Zeise, is fully in. Seems like it was a pretty stress-free day since Pitt had most of their signees in fairly early. Pitt also made a late run at Taj Alexander of Rutgers, but he has apparently stuck with them. "Our biggest need was to find a running back because there was the potential of (Philadelphia Eagles running back) LeSean McCoy leaving," said Hafley, a second-year secondary coach. "I didn't care if the kid was listed as the No. 25 or No. 1 running back in the state, I was going to try to get film on him and evaluate him. "I wanted to be thorough and not limit my search on what (recruiting) services call the best back in the area. Dion was not ranked as one of the best players in New Jersey, but when we got the film, we loved him." And of course everyone knows that signing day is not a mere formality - all you have to do is look at the disaster that was 2004. Anthony Morelli and Andrew Johnson look back briefly at their recruiting experiences. Anyway, Pitt appears to have landed a fairly strong recruiting class - not one of the best in the country, but certainly nothing to hang your head about. 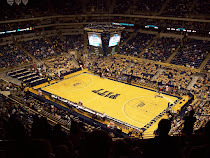 Scout.com seems to love Pitt the most, ranking them 15th in the nation and 1st in the Big East. Rivals checks Pitt in at #32 overall and 2nd in the Big East behind West Virginia. ESPN.com and MaxPreps/Sportsline.com only have a top 25 ranking from what I can tell, and the Panthers do not appear on either. Here's ESPN.com's rankings on each player. These rankings could all be subject to change, obviously, as the day continues. There seems to be some disagreement on who is the 'gem' of this Pitt class - QB Anthony Gonzales is ESPN.com's pick, while Scout.com and MaxPreps/Sportsline.com both go with DE T.J. Clemmings. Zeise also basically says its Clemmings as well. Really, most of us know that these rankings, while not completely meaningless, account for very little. So many invariables - coaching, academics, attitude, etc. go into making a highly-ranked player even a good one in college. Still, it's nice to see Pitt hang onto all of their players as plenty of schools suffer 'defections' every year.